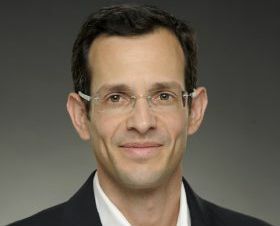 Nadav Molchadsky is a lecturer in the department of near eastern languages and cultures at UCLA and an expert in Israeli and Jewish history, as well as contemporary society and politics in Israel. Molchadsky, who is a research fellow at the Younes and Soraya Nazarian Center for Israel Studies, focuses his research on political and legal history, with a particular interest in processes of collective memory formation. Molchadsky’s scholarship has focused on Israeli commissions of inquiry that arose in the wake of major national traumas such as the 1948 War, the Yom Kippur War, and the assassination of Zionist leader Chaim Arlosoroff. He is a member of the UCLA International Institute.